Filmigo Video Editor to Make Image to Video, Photo to Video & Music Video Maker. “Filmigo Video Editor - Video Star” with Music encourages you to make quick and marvelous slideshow with chose Photos and music. “Filmigo Video Editor” permit you changes over your video and take astounding Photo & Music. 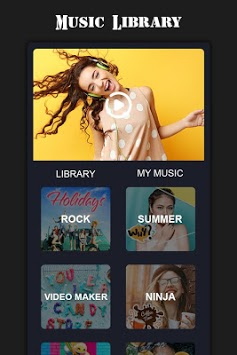 Filmigo Video Editor - Video Star, is a professional video edit APP that you could splice photos into a music video with one click, edit and crop video with video cropping /no cropping, trimming video, adding free music, video filter and movie effects to make music video. create image to video as slideshow maker. 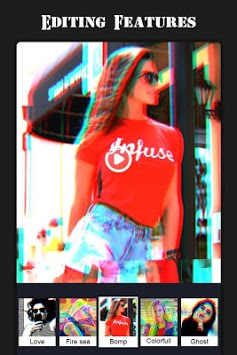 Splice photos and crop video into a new music video or image to video. “Filmigo Video Editor & Video Maker” is an extraordinary method to share your best Photos and recordings with loved ones. Video Crop : crop 1:1 9:16 4:5 & 16:9 for social app. No Video Crop : Full size of video on Instagram without video cropping. Trim : trim, edit and crop videos to cut unwanted part. 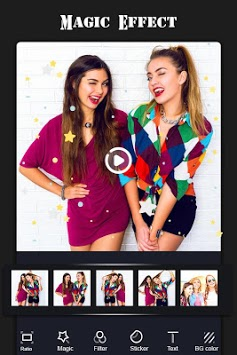 Merge : combined to video and photos to make you a video star of a whole story. “Filmigo Video Editor & Video Maker” is an amazing video creation application which causes you store Photos and music in a romantic way.